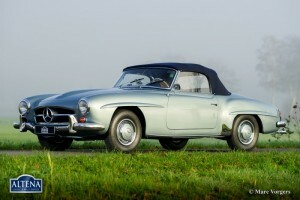 Mercedes-Benz 190 SL, year 1960. Chassis nummer: 12104010016079. 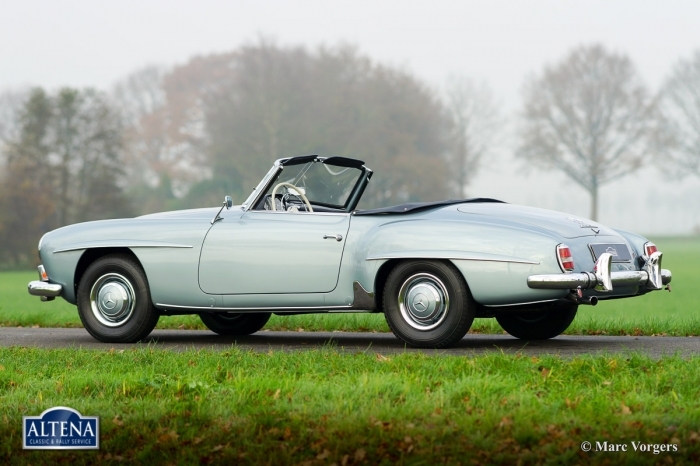 Colour light blue metallic with a blue leather interior and blue carpet. 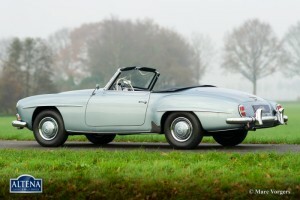 Blue mohair soft top and hood cover. 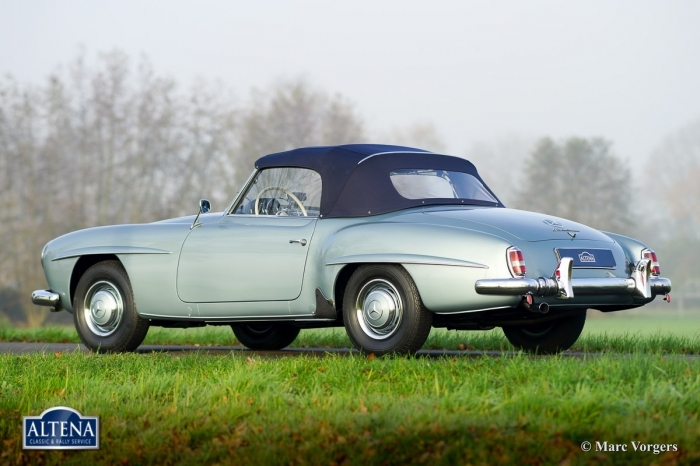 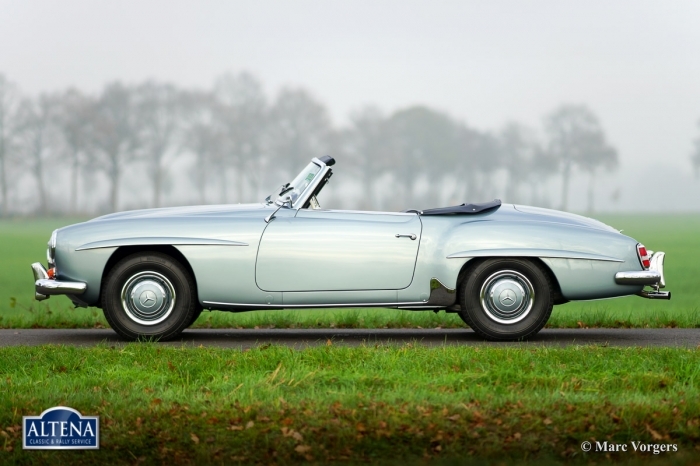 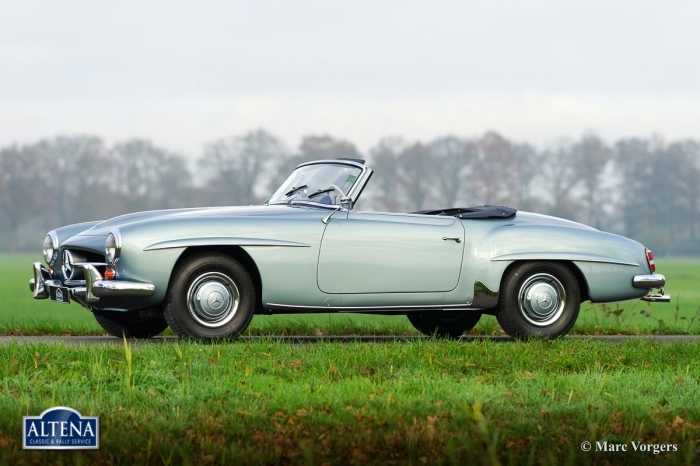 This magnificent Mercedes-Benz 190 SL was fully restored to very high standards in recent years. 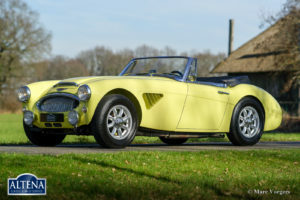 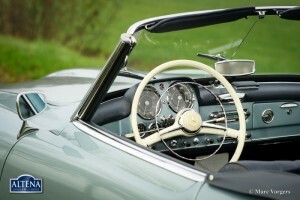 This automobile is in beautiful concours (show) condition! 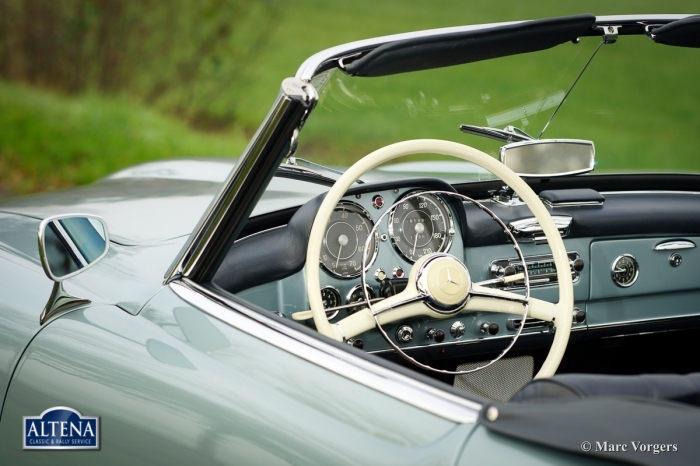 Every detail is perfect. 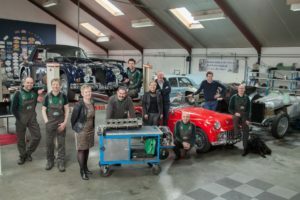 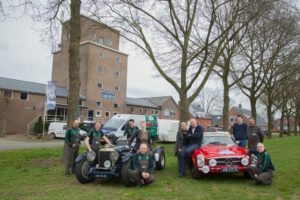 The restoration work and the parts used have been fully captured in an extensive photo reportage – impressive! 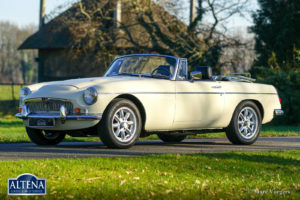 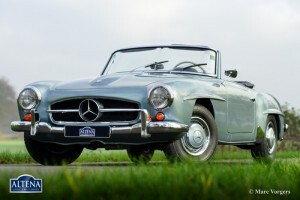 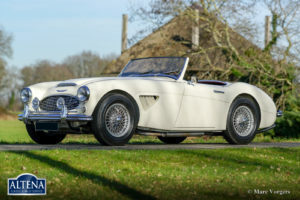 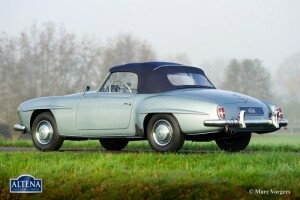 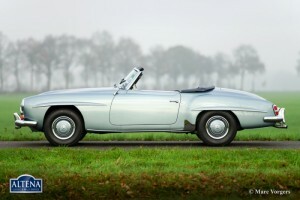 This wonderful 190 SL is without doubt one of the very best you will find.